The LG G Flex 2 has been announced in January, 2015 and is the successor to the original LG G Flex released in 2013. 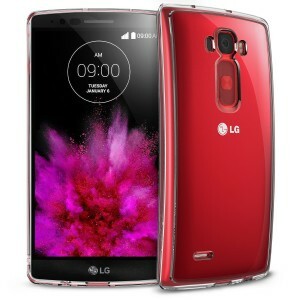 The pioneering curved body and curved display on the LG G Flex caught people’s attention, but, failed to deliver. 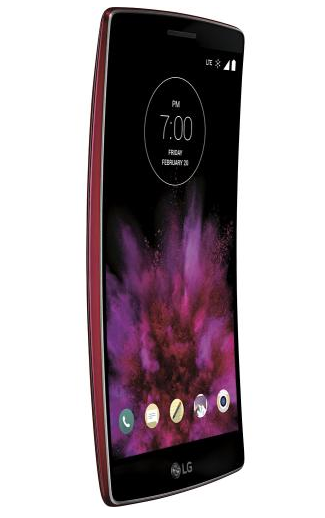 The LG G Flex 2 looks poised to be a success and deliver where the original LG G Flex fell short. Listed below are the top 10 Best LG G Flex 2 cases and covers. 1. 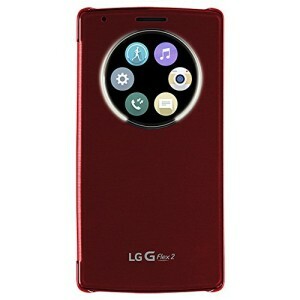 LG Quick Circle Folio Case for LG G Flex 2: This original accessory from LG is pretty expensive, but, it provides quick access to six useful app shortcuts through the circular display. 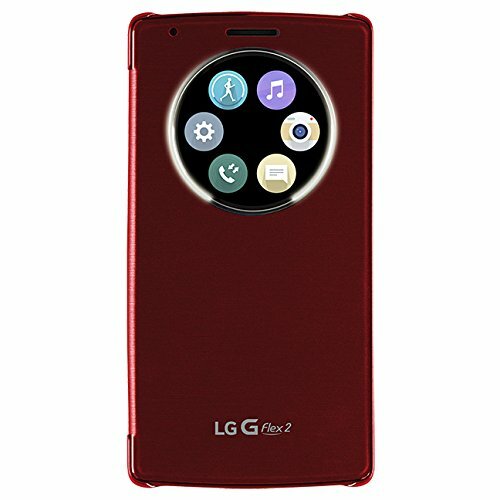 So, if you are a power user, it is worth investing in the LG Quick Circle Folio Case for LG G Flex 2 case. 2. 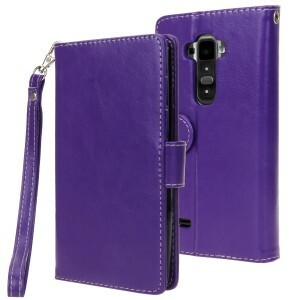 Tudia Ultra Slim LG G Flex 2 Case: The Tudia Ultra Slim LG G Flex 2 Case has a soft touch feel and a comfortable grip. 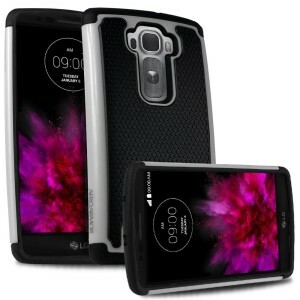 The case also has a raised bevel on the front to protect the touchscreen from scratches. The Tudia Ultra Slim LG G Flex 2 Case is available in 4 colors. 3. 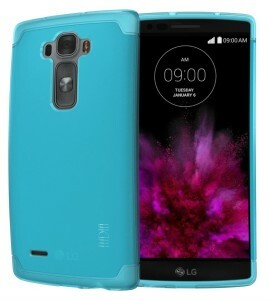 Poetic Affinity Series LG G Flex 2 Case: The Poetic Affinity Series LG G Flex 2 Case offers excellent protection from drops, bumps, shocks and scratches. The TPU bumper protects the LG G Flex 2 from drops and also offers good grip. 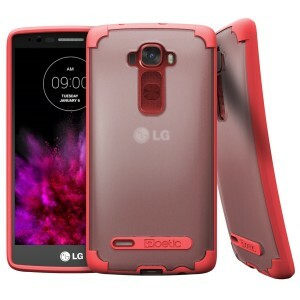 The Poetic Affinity Series LG G Flex 2 Case is available in 2 colors: red and gray. 4. 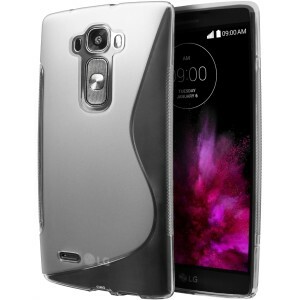 Caseformers LG G Flex 2 Holster Case: The Caseformers LG G Flex 2 Holster Case is equipped with two viewing stands and a fully adjustable belt clip swivel holster. This LG G Flex 2 case is very tough and absorbs shocks well. The Caseformers LG G Flex 2 Holster Case is available in 7 different colors. 5. 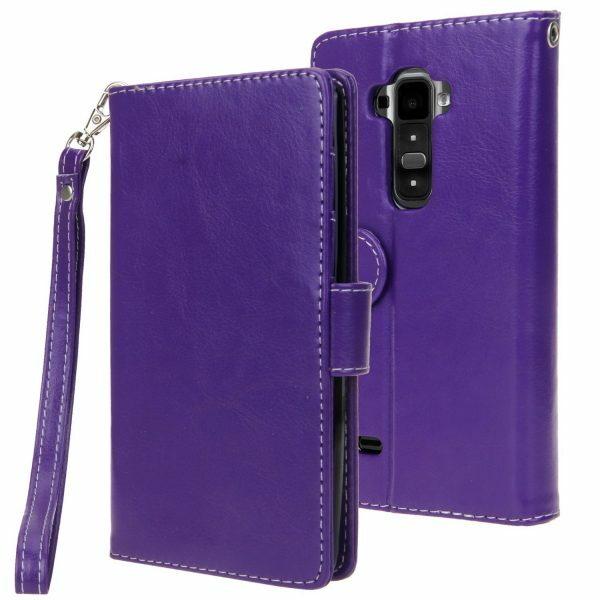 E LV LG G Flex 2 Wallet Case Flip Cover: The E LV LG G Flex 2 Wallet Case Flip Cover is equipped with card slots, cash pockets and a hand strap for your convenience. The wallet case also functions as a built-in stand for your LG G Flex 2. The E LV LG G Flex 2 Wallet Case Flip Cover is available in 8 colors/patterns. 6. 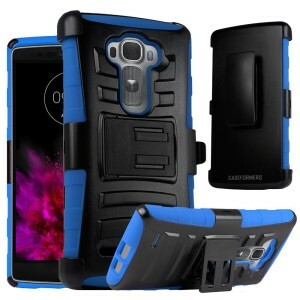 Mpero Impact X Series LG G Flex 2 Case: The Mpero Impact X Series LG G Flex 2 Case is a tough and durable smartphone case equipped with a locking kickstand. The Mpero Impact X Series LG G Flex 2 Case is available in 6 very attractive designs. 7. Cimo LG G Flex 2 Case: The Cimo LG G Flex 2 Case looks good with the wave pattern on the back. The Cimo LG G Flex 2 Case is made of shatterproof TPU material and is available in 3 colors. 8. Style4U LG G Flex 2 Bling Case: The Style4U LG G Flex 2 Bling Case is very fashionable and studded with beautiful rhinestones. 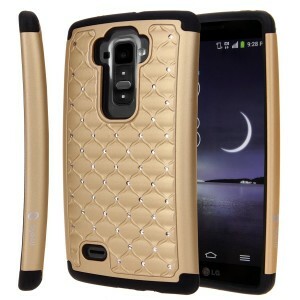 The Style4U LG G Flex 2 Bling Case is available in 5 colors. 9. Ringke Fusion LG G Flex 2 Case: Flaunt your brand new LG G Flex 2 with the transparent Ringke Fusion case. The Ringke Fusion LG G Flex 2 Case is available in 2 colors. 10. 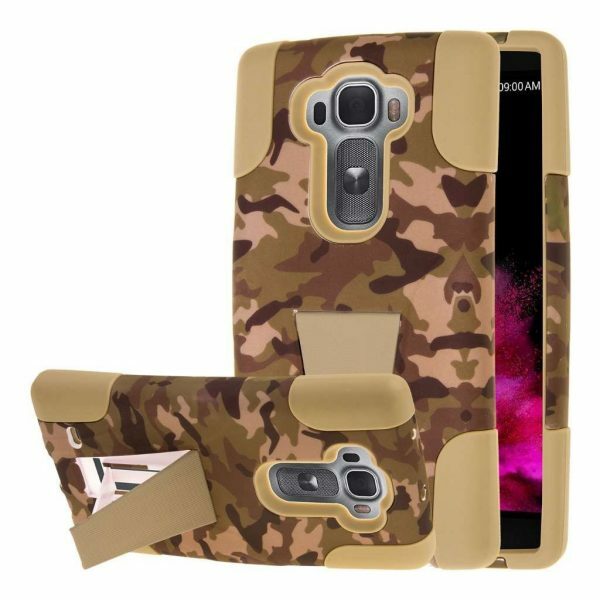 Aero Armor Protective Case for LG G Flex 2: The Aero Armor Protective Case for LG G Flex 2 looks stylish in dual-colors and is easy to install. The Aero Armor case also offers good protection to the LG G Flex 2 from impact with its shock absorbing bumpers. The Aero Armor Protective Case for LG G Flex 2 is available in 8 different colors. These are the top 10 best LG G Flex 2 cases and covers. LG G Flex 2 is quite a looker. I don’t see why anyone would put on a case in this beauty. Plus, the screen is curved. It won’t break easily either. Almost all of those cases are ugly! Just put a clear skin on front and back.